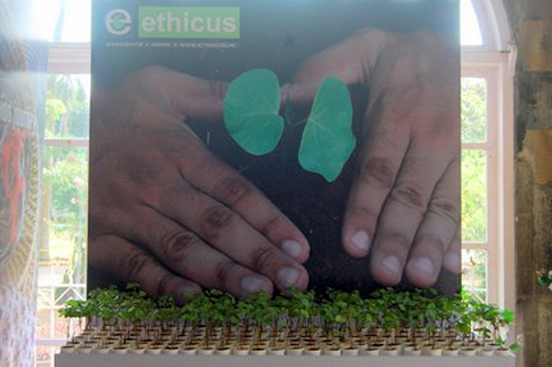 In Sepember 2009, when we launched our brand "Ethicus" in Mumbai, we gave all the people who visited us and our Exhibition a small "cotton sapling". 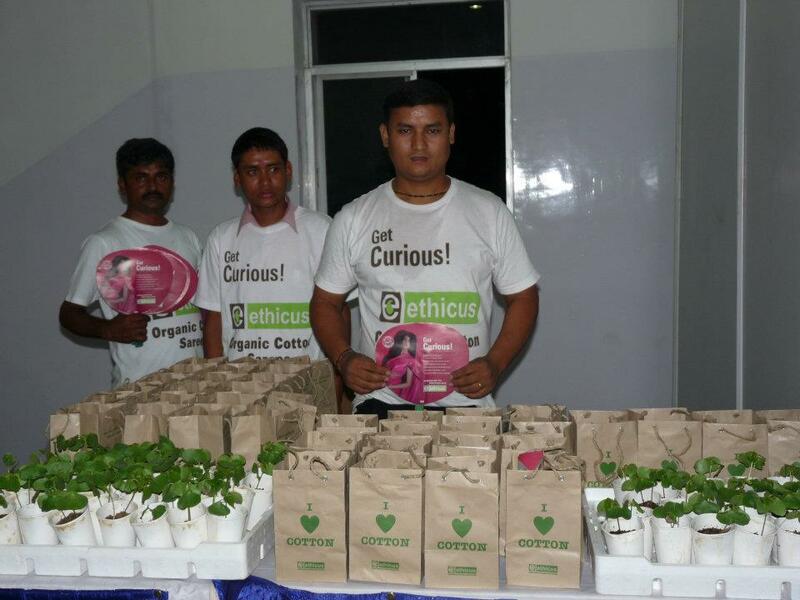 On each bag which carried the sapling were instructions on how to grow the cotton plant organically at home. It also told the person what to expect at different stages of its plant growth. All the people who were given the sapling were told that they needed to harvest the cotton, collect it and send it to us at Pollachi to claim a specially handwoven handkerchief made at the "Ethicus Studio". All we wanted to do was to make people realise the effort that a farmer puts in to grow us our cotton. We had to grow just one cotton plant! But the farmer grew around 8000 cotton plants on one acre of land! We were not sure whether people would take us seriously and actually take care of the plant. But we have been overwhelmed by the response we have been getting. We kept receiving the harvested 'cotton' until 2013. It was amazing because we had these customers come all the way to our exhibition in Mumbai to hand over this cotton to us! it was absolutely amazing. On each bag which carried the sapling were instructions on how to grow the cotton plant organically at home. It also told the person what to expect at different stages of its plant growth. All the people who were given the sapling were told that they needed to harvest the cotton, collect it and send it to us at Pollachi to claim a specially handwoven handkerchief made at the "Ethicus Studio". All we wanted to do was to make people realise the effort that a farmer puts in to grow us our cotton. We had to grow just one cotton plant! But the farmer grew around 8000 cotton plants on one acre of land! We were not sure whether people would take us seriously and actually take care of the plant. But we have been overwhelmed by the response we have been getting. All of us at "Ethicus" would like to congratulate "Capt. Arjun Menon" of Pune! We received his cotton harvest today. He will be the 50th person to receive his handkerchief! Vijayalakshmi Nachiar is Co-Founder Ethicus.